Brighten up your everyday look with customizable handcrafted clay jewellery! 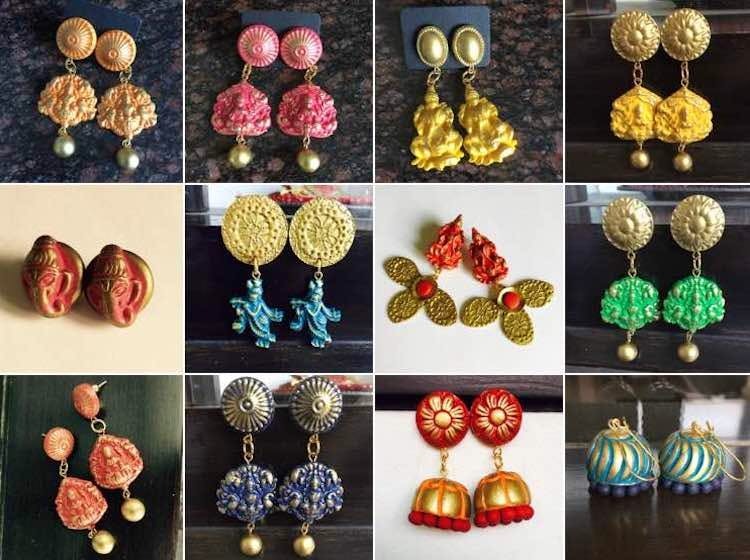 Michezo is an out-of-the-box clay jewellery brand based out of Delhi. Influenced by colours and textures of nature, Michezo adds a modern touch to the flexibility of the ancient clay art of India. Unlike your usual heavy accessories, these designs are not only super light-weight but also perfect for any occasion – from office parties to wedding functions! The best part? Each piece at Michezo is exclusive since it is individually hand-crafted and thus non-replicable! Michezo jewellery is customizable with no limits on colours, designs and textures and can be created to match any theme – from lavender flowers for the bride on Mehendi to wedding favours for friends. So don’t hold back and start experimenting! They recently launched their temple jewellery collection. This is also available on Jaypore and Tjori! Give your ears some relief and get yourself a pair of pretty clay earrings! Check them out on Facebook and Instagram or shop their exclusive designs at LBB Specials at a discounted price!